It’s a procedure used to visually examine the esophagus, stomach and beginning of the small intestine, also known as the duodenum. This procedure is done with a flexible tube fitted with a tiny camera, and is used to discover and possibly treat conditions that affect these areas of the body. Upper Endoscopy is done while the patient is under moderate sedation, and is considered an outpatient procedure. Doctors can also treat certain conditions and diseases during an upper endoscopy. Doctors use certain tools during an upper endoscopy to widen a narrow esophagus, cauterize a blood vessel to stop the bleeding, and remove polyps. 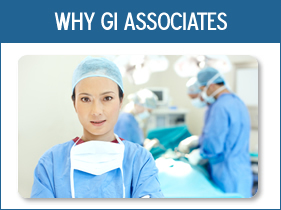 GI Associates Chicago has invested in the latest technologies to provide high definition images during this procedure. 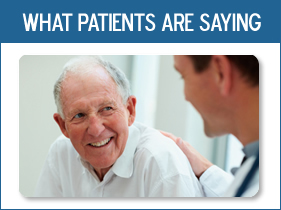 This clearer definition helps provide more accurate diagnoses and treatment. Our professional staff has over 50 years of experience in these procedures, and our physicians are considered the experts in the Chicago South Suburban area in both standard and complex procedures. Our new facilities also allow most of our procedures to be completed onsite, meaning less wait and recovery time for our patients. Our physicans use an anesthesia that, while 100% effective during the procedure, takes less of a toll on your body, making your recovery time faster as well. If you have questions or would like to set up a consultation for an upper endoscopic procedure, please feel free to contact GI Associates at 708.424.1202, or fill out the form to have one of our staff contact you. We look forward to serving you.